Over the past few weeks, the Ramonat Scholars have been immersed in primary sources at a range of libraries and archives. They’ve been building their Zoteros, creating Microsoft Word documents, and even amassing a sizable collection of Post-It notes with all that they have uncovered. For their most recent blog assignment, they were asked to share some of their primary sources and explain how they read them for evidence about their topic. 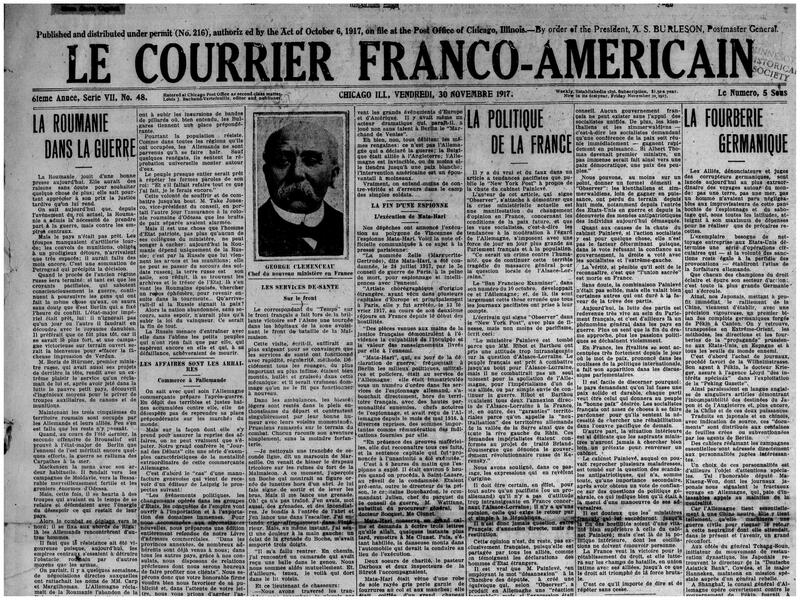 One of the foreign language newspapers that Dan has been exploring for his project. Periodicals are one of the most popular primary sources for study. Andrew and Dan have both been reading late nineteenth or early twentieth century newspapers. While Andrew has been focusing on secular newspapers published in English, Dan has been looking at an ethnic newspaper published in French, which is not his native tongue. Reading their posts reminds us of the very different ways we might find ourselves approaching the same type of source – and the types of discoveries we make in the process. In the later nineteenth century, the journals and magazines were just as popular as newspapers, as Maya has discovered, and documented all sorts of phenomena even when other sources have not survived. Unpublished materials do not survive as often as published ones do, but they provide some fascinating insight into the lives of people and institutions. Diaries and personal papers can be rich sources as Brendan has been finding in his study of Catholic businessmen and the societies they formed in the second half of the nineteenth century. Economic records provide another illuminating source, Hector shows in his post, that speak to a broader range of issues than we might expect. A 1900 cookbook that Guy is using in his study. Many students are looking beyond these more traditional sources for evidence of past experience and belief — and often have to think creatively about how to read their sources. Most of us probably have never thought of a cookbook as a primary source for historical study. 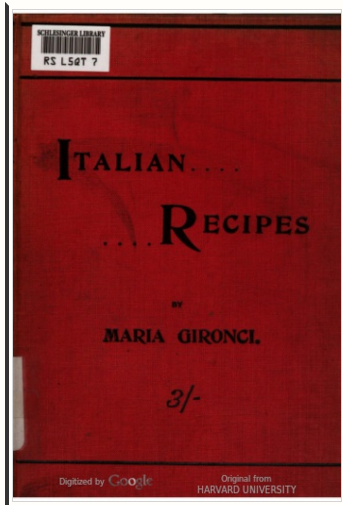 But when seeking out the meaning of different types of food to immigrant Italian Catholics, then cookbooks become an invaluable source. Guy’s blog walks us through how a scholar reads these intriguing documents. Susie takes on a much physically larger source – the churches in which immigrant Catholics worshipped – and shares the different types of questions she has to ask when studying such a source. While many Scholars are engaged in close reading of the words and buildings left to us by their subjects, Bianca is coming through city directories and census, records created by others, in search of her historic subjects. This type of record requires a different methodology for revealing its secrets, as her blog post nicely explains. 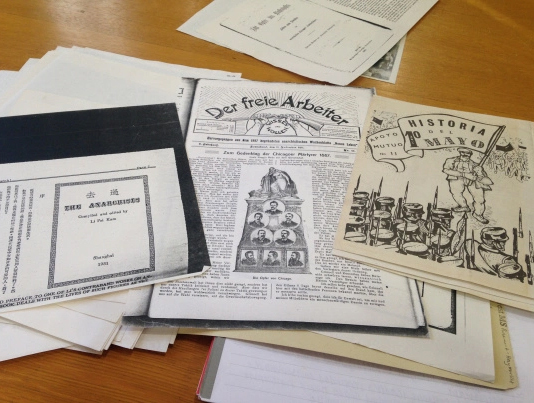 Shannon uncovered a cache of reporting on her subject in a range of different countries. One of the more surprising iterations of the Fabiola story studied by Olivia. The next stage in the researching and writing process is to craft an outline. Check back next week for posts on how the students went about creating their outlines and the challenges and opportunities this presented.